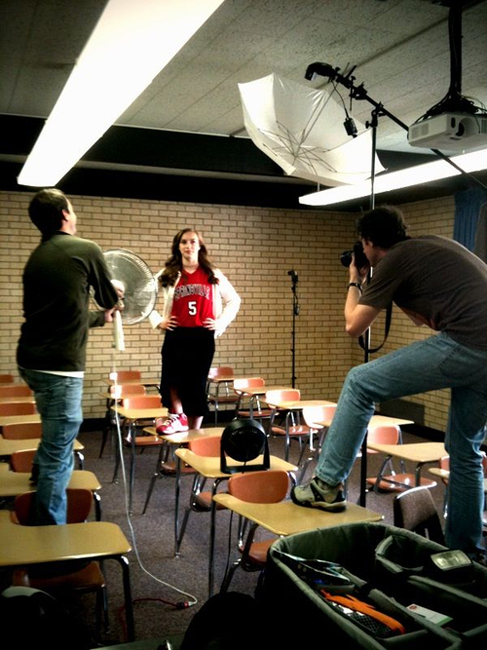 "Lexi Eaton poses for a portrait as Patrick Smith and Mark Johnston photograph in a classroom, Friday, April 2, 2010. (Photo by K)." Inspired by friend and shooter Trent Nelson, I decided to make an iPhone photo blog last night. I don't take that many iPhone pictures, but I do take a lot of humorous pictures on it. Not to mention, this blog is a lot of my daily work, not the daily things I see. So my new blog "Modern Cliche" is a more lighthearted, see it as I pass it type of blog. Whether it's a funny sign, a view of my current location or something else random, you can find it there. It's short, no more than a couple words, and pictures all taken with my iPhone. What are you waiting for? Go over and check it out.